¹Offer valid March 1, 2019, through May 31, 2019. Receive 15% off MSRP with the purchase of one or more Gator Light kits. Savings are applied to the total before shipping/delivery charges and consistent with applicable sales tax requirements. Maximum discount of $200. Not applicable on factory-installed attachments/packages. Cannot be combined with any other offer. 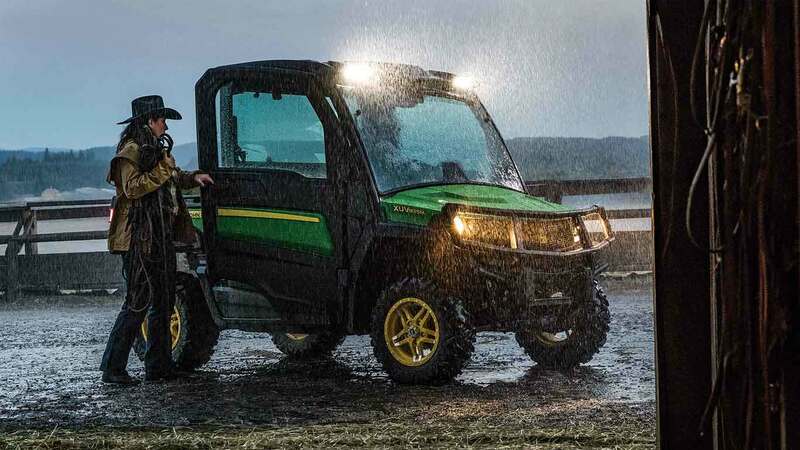 Offer is valid at participating John Deere dealers in the U.S. Before operating or riding, always refer to the safety and operating information on the vehicle and in the operator’s manual. John Deere, the leaping deer symbol, and green and yellow trade dress are trademarks of Deere & Company.